Flaunt the inner style quotient that comes naturally to you in this avant-garde Gray Tunic Dress with a designer twist. The main feature point of the dress remains its distinguished silhouette. This dress by Snehal Creations is made out of fine quality georgette fabric and has a simple round neck. 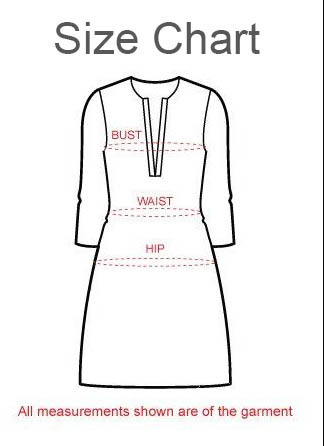 The upper half of the tunic dress comes vertically pleated, while the umbrella sleeves are unevenly trimmed at the edges. Pulled in with a copper belt at waist and similar-hued embroidery at the shoulders; this one is sure to make you the fashion-goddess of the town!